The Tenth Circuit en banc has concluded, in its opinion in Hobby Lobby Stores, Inc. v. Sebelius, that a for-profit corporation has Article III standing, and rights under the Free Exercise Clause and the federal Religious Freedom Restoration Act (RFRA). The case began when two companies, Hobby Lobby, a craft store chain, and Mardel, an affiliated Christian bookstore chain, challenged a regulation under the 2010 Patient Protection and Affordable Care Act. The regulation required that they provide certain contraceptive services as part of their employee health care plan. The plaintiffs, the store owners, all alleged that this violated their Christian beliefs. Among the required services were devices (including drugs like the morning-after pill) -- their use of which is contrary to their faith. In a 165-page opinion, the Tenth Circuit looked at whether the Religious Freedom Restoration Act and the Free Exercise Clause protected the plaintiffs. Ultimately, they found that Hobby Lobby and Mardel are entitled to bring claims under the RFRA and First Amendment. They delivered strong opinions that they should be protected under them. 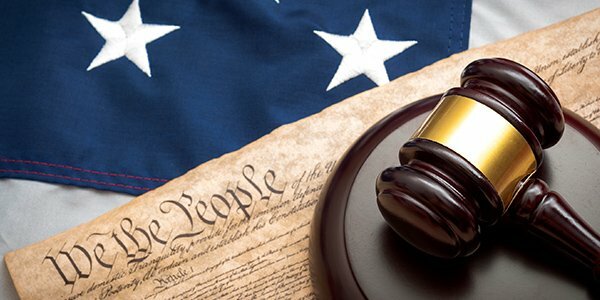 Citing the controversial Citizens United v. FEC, the court held the Constitution guarantees freedom of religion and that this First Amendment protection extends to corporations. They saw that the Free Exercise Clause was not just a "personal" guarantee available only to natural persons, but that it extended to corporations, as well. Additionally, the court cited the Supreme Court when they ruled that individuals have Free Exercise rights with respect to their for-profit businesses, as well, as determined in United States v. Lee. The bottom line there was that individuals should be allowed to incorporate to pursue profit, and keep their Free Exercise rights. The RFRA, additionally, is meant to protect individuals whose religious exercise are substantially burdened by the government. RFRA is only applicable to federal laws. The court saw unanimously that Hobby Lobby and Mardel have the right to sue over the Affordable Care Act under the First Amendment and RFRA. While they did not make the ultimate determination on the contraception mandate, they saw that a religious individual should be allowed to engage in the for-profit realm of business while simultaneously still abiding by their religious beliefs. The district court's denial of Hobby Lobby's request for a preliminary injunction has been reversed, and remanded for further consideration.